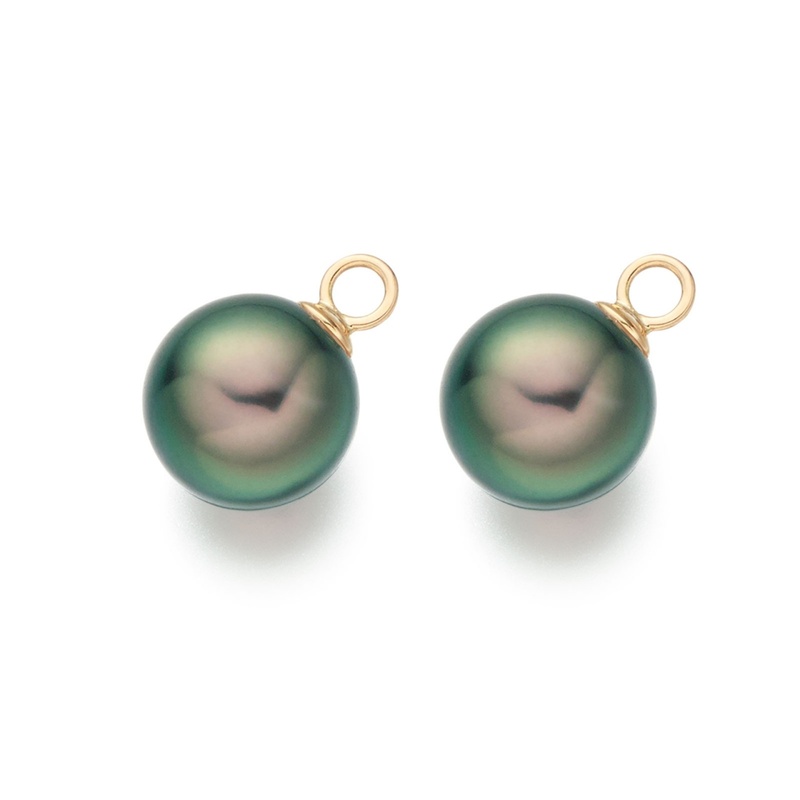 A pair of interchangeable Tahitian pearls, with a natural peacock green colour, that have been designed to fit a pair of 18 carat yellow gold diamond leverback earrings. 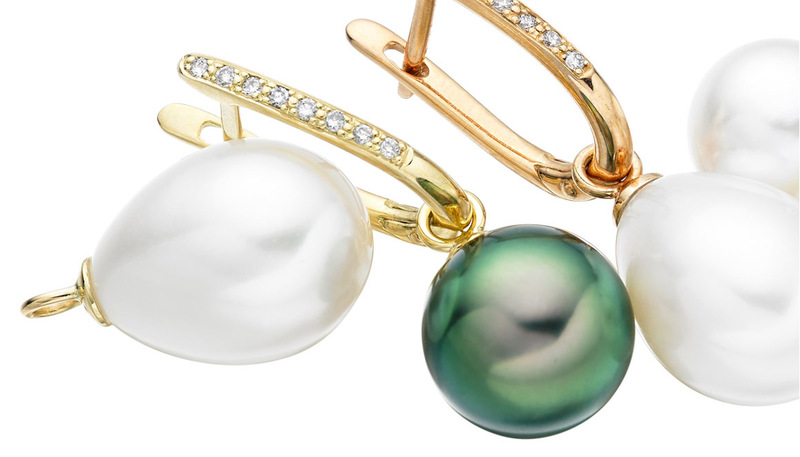 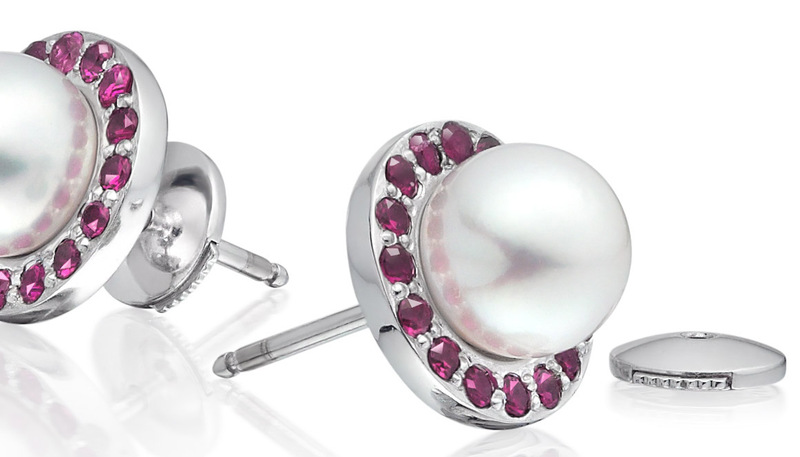 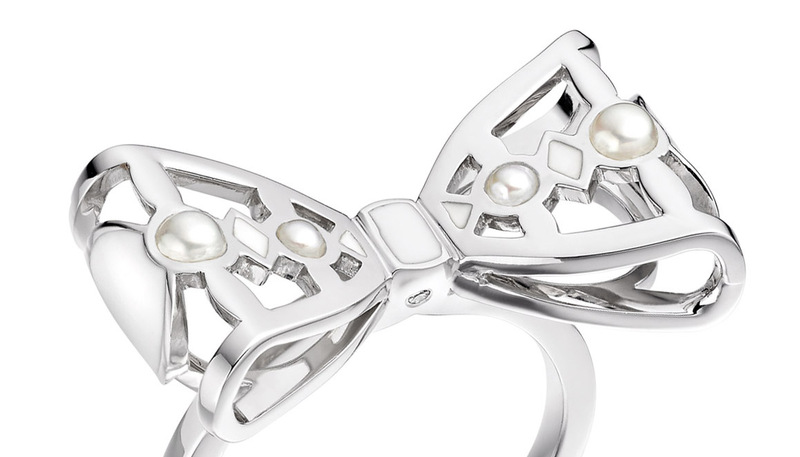 The colourful pair of Tahitian pearls measure 9.5-10mm in diameter and have an beautiful lustre. 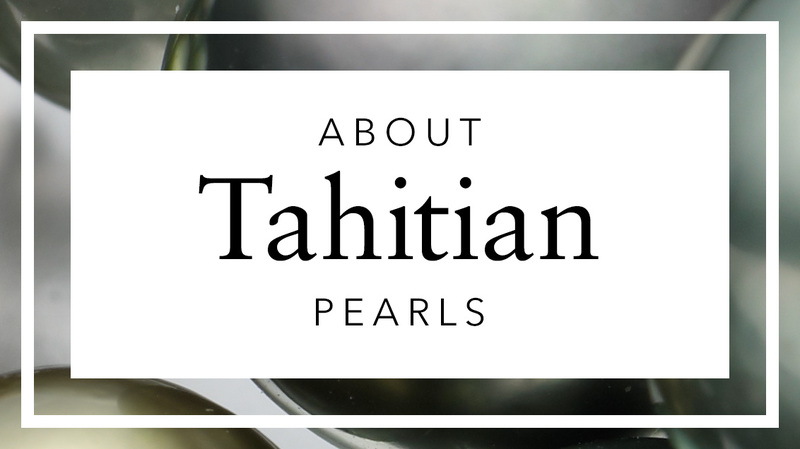 These saltwater Tahitian pearls are cultured in French Polynesia and have a naturally dark green body colour, with overtones of pink and purple that are similar to the shimmering colours of a peacock's feathers.